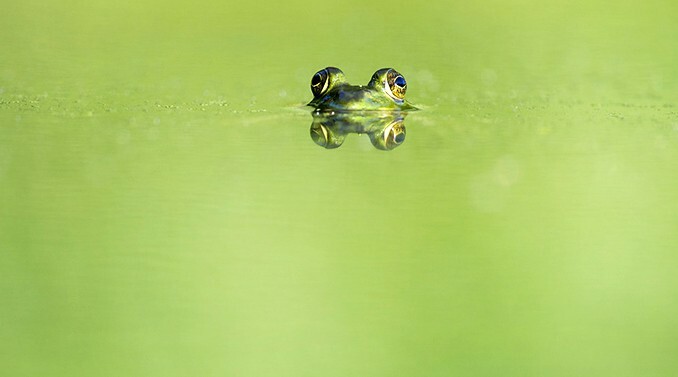 A production process in the optical industry needs to cope with not just a high production volume, but also a traceable process that is adaptable according to the market development. The glue that holds it all together is the tray handling system that enables a flexible and cost effective production process. In this blog post, I will describe the optical industry’s requirements on its equipment, and prove that the industry’s wishes can be granted. 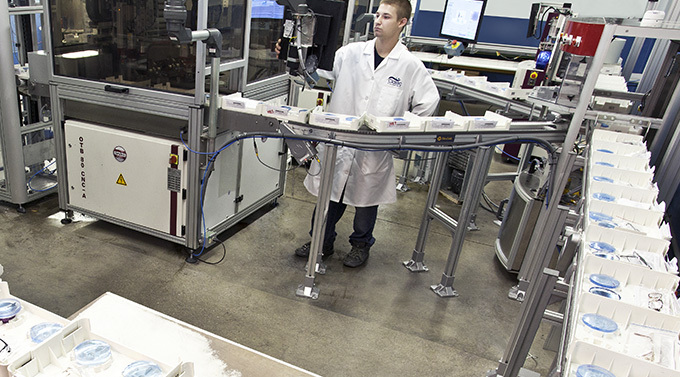 Automation and the way trays are handled within optical laboratories have gradually evolved over the past years. The process has evolved from manually carrying trays to powered roller conveyors or gravity push conveyors, to plastic chain conveyors. Alongside the technological evolution in the optical industry, the market has grown with increased production volumes. Starting a couple of years ago, the market made use of a lot of new opportunities, and growth took place across many areas of the industry. 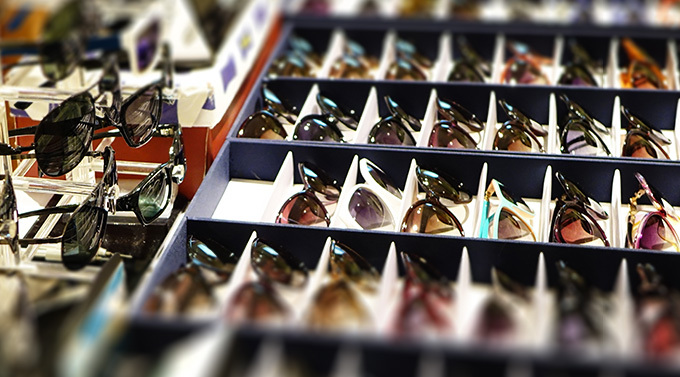 The optical industry is now flourishing with a sustained economic upturn. In connection with the market growth, the optical lab landscape changed with the move to new optical technology and lighter load requirements. The changes resulted in a need for a new technological system that had specific qualities within tray handling technology. The requirements on the new system were to produce higher volumes more efficiently, save space, lower running and investment costs, and that the system should be easy to operate and modify to fit specific needs. The need for a new system was not just for the larger high capacity labs, but also the small regional labs that previously may have struggled with justifying the automation investment. Vision X™ is the only automated conveyor system designed specifically for the needs of the optical industry. The system is based on standard modules, which are configured to fit all key production machines on the optical market. One of the most important features of Vision X™ is the core of the system, a multi-functional “universal tray turner”, affectionately named the spider because of how many conveyors that can come out of the core of the machine. This allows a distribution of trays of up to eight different exit or entry positions, and also 180-degree rotation, which is sometimes required for routing decisions. In addition, it can be installed with a vertical axis, which doubles the number of possibilities and enables the lab to arrange the conveyors in many different ways – allowing unique and space saving layouts. The tray turner is designed to control all the connected input and output conveyors, and it also contains a safety stop for each conveyor. This solution enables the optical labs to conduct creative conveyor layouts. “It was like learning a new operating system on your mobile phone. At first you might get a little frustrated and then you have that aha! moment and understand how it all works. It’s exciting when you see the results and then you just want to see how much further you can go”, said Rodney Remsey, Director of Laboratory Operations for Classic Optical Laboratories Inc. Classic Optical Laboratories cooperated with FlexLink and went from a manual laboratory to an automated laboratory, with the Vision X™ solution as a key feature. 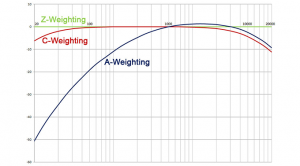 In almost all countries, the use of A-frequency-weighting is mandated to be used for the protection of workers against noise-induced hearing loss. Another requirement from the optical labs was to reduce the number of devices using compressed air because they create; noise, complexity, dust and higher maintenance requirements. The Vision X™ system features solenoid stops which are electric, instead of pneumatic. That means the system uses no compressed air and thus extremely quiet. In addition to a low noise level, the system provides advantages such as stability and gentle handling of sensitive products. The system requires all the machines to be placed closely together which in turn saves a lot of space in the optical labs. Combining all these features into one unit enables a high level of standardization with high flexibility in tray handling. The unit can even be used to provide an access gate through the line or simultaneously elevate the conveyors to transfer the products between different levels. The simplicity of the system is its beauty – it is fast to install with minimum disruption to production, and it is easy to reconfigure if your system changes. Thus, it qualifies as a cost effective and reliable tray handling equipment that enables a high production rate – all the qualities that were required from the optical industry. “It took a little work to get everything set up, but once it was installed it created huge savings in our labor cost. There is no way that we could have managed to expand to this volume of manufacturing profitably without installing automated materials handling” said Remsey. 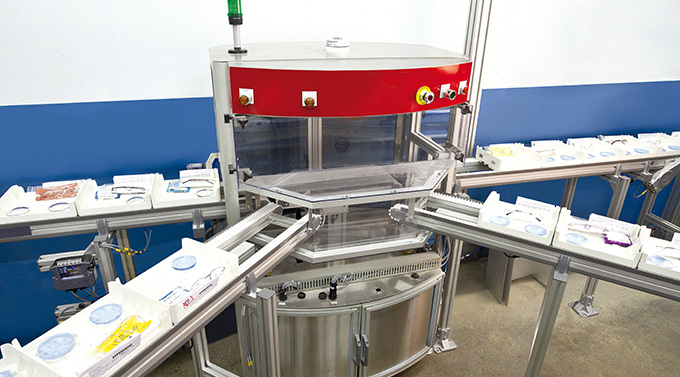 Vision X™ is a tray handling system specifically designed for the needs of the optical industry. During the development phase we have had a thorough consultation process with the industry, combined with many years of experience in automating optical laboratories. Are you more interested in Vision X™ or how FlexLink work when producing automated production flow solutions? Well, visit FlexLink’s website to find out more! I hope you liked my article about Vision X™ in the optical industry, and that you learned something new. You are always welcome to share and comment on the article in our social media channels. 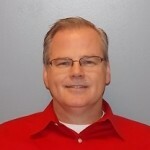 Ken Lento is a Senior Business Strategist at FlexLink, Food and Optical Segments.